Pauly has lived in Clarington for over 30 years and has volunteered for many events and coached numerous hockey teams. 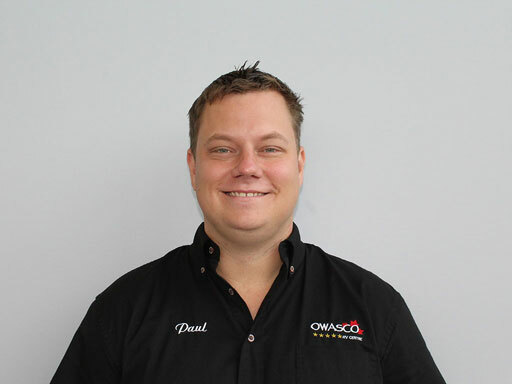 Pauly started at Owasco RV in September of 2017 and has many years of sales and customer service experience. Pauly attended our local University – UOIT – and graduated with an Honours degree in commerce. Pauly enjoys watching and playing hockey with his son and spending time with family and friends. He loves laughing and a good comedy. His favourite campsite is Cedar Valley Resort in Orono. Did you know that Pauly got his nickname “the Mustard Man” because he hands out a jar of delicious Norfolk and Good Mustard with every purchase?